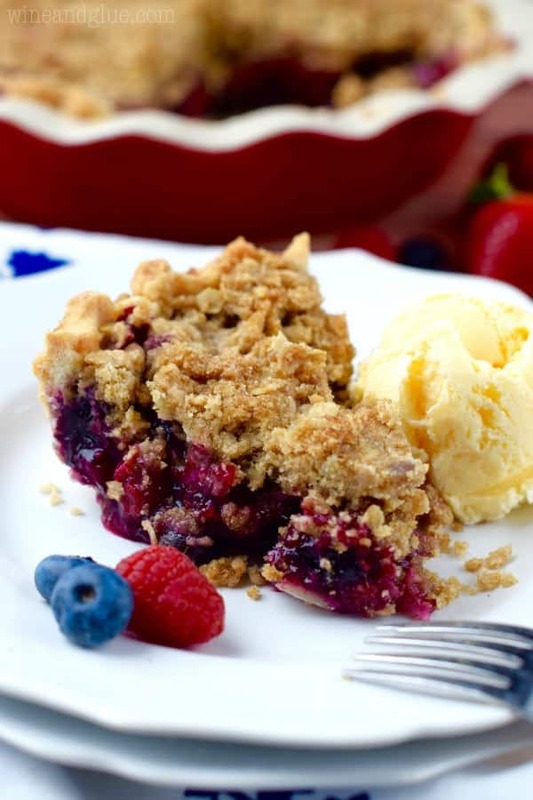 This Triple Berry Cobbler Pie combines the amazing flavors of blueberry, raspberry, and strawberries in an amazing pie with a crumble topping. 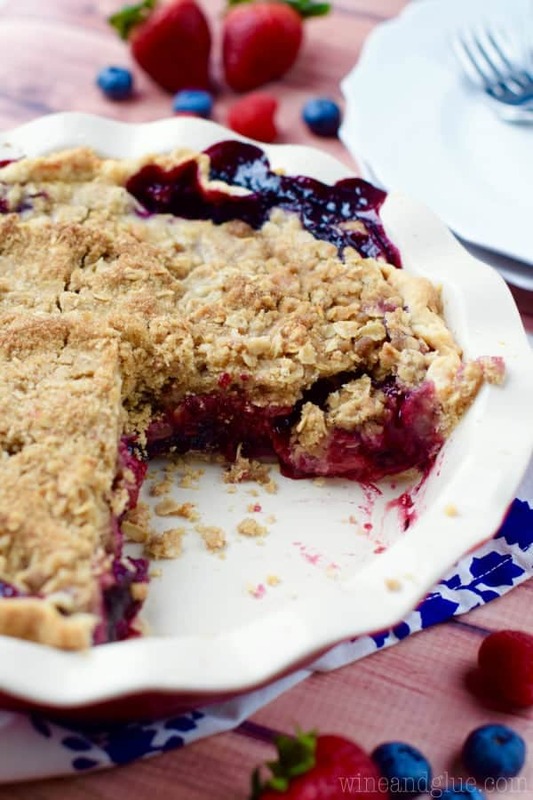 It’s like a cobbler and a pie combined, so good! Even though my house isn’t excessively dirty . . . I mean I’d like to think that we are at least a good four levels above frat house disgusting. At least. We have a serious fly problem. And by problem I mean that my children come in and out of the house 18 hundredy times a day and leave the doors open and these flies come inside. And these flies . . . they are not your grandmother’s flies. They are genetically mutated beasts that look as though they ate the flies of yesteryear for dinner. It is totally possible that these flies will be the death of me. Like they will take me from a little nutty to straight jacket crazy. The buzzing, the zipping past my head with their mocking tones. I’ve become obsessed with killing them. The other day I told Gavin that I would pay him $5 if he could kill the fly that had currently made it’s life mission to destroy my sanity taken up residence in our home. He was totally game. For 4.2 seconds. We managed to trap one of them in our window, like between the glass and the screen. This dog sized fly is now buzzing around inside one of my kitchen windows, keeping me prisoner and preventing me from enjoying the sweet summer breezes of June. Okay, but to be fair . . . . I don’t know if I can totally blame the flies. I mean, I have things like this pie in my kitchen. And this cake. 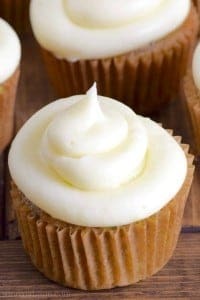 And this frosting. And this lemonade. But I’m also going insane. I need to work on my ninja fly assassin skills. Okay. Let’s talk about this pie. It’s AMAZING. Like I’m desperately trying to loose all my mom weight (you know what I’m talking about . . . that weight that just creeps on as you have babies, your metabolism slows down, and you spend your days making pies) but I for sure ate a couple slices of this bad boy. It’s the perfect amount of sweet, it has the best crust, and the most amazing cobbler-esque topping. It needs to be part of your summer BBQ’s. Preheat your oven to 400 degrees, move the oven rack to the bottom of the oven, and line a 9 inch deep dish pie pan with pie crust. Trim and pinch the edges. In a large saucepan, combine one cup of blueberries, one cup of strawberries, and one cup of raspberries. Cook over medium heat until the berries cook down, mashing them up with the back of a wooden spoon as you go, about 8 minutes. In a large bowl combine the remaining uncooked berries, the cooked berries, the sugar, the tapioca, and the lemon juice. Pour into the prepared pie plate. In a medium bowl with a pastry cutter or two forks, combine the flour, oats, butter, and brown sugar. Sprinkle it over the berry filling. Line a baking sheet with aluminum foil, set the pie on top of it, and bake for 25 minutes. Turn the temperature of the oven down to 350 degrees and continue baking for 35 to 50 minutes or until the inside of the pie is bubbling and the crust is a deep golden brown. Allow the pie to completely cool before serving. Lisa, this is such a beautiful pie, and it looks delicious! I will most definitely be making this once I get my hands on some fresh summer berries! Divine! Hi Lisa! 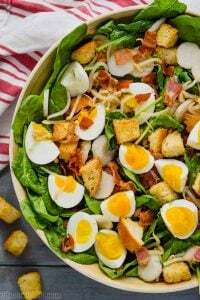 This recipe is amazing, mostly for how simple it is! It reminds me childhood when my grandma used to to a similar pie for me every sunday! Thanks for sharing! Oh, my goodness. The summer flies. Those fruit flies alone converge on our countertop fruit that’s ripening and it’s SO gross. And don’t even get me started on mess. I have three kids aged 3, 5 and 7. My house looks like a bomb went off in it. I hate it. As much as I love this pie. It looks AMAZING. That topping is so happy! 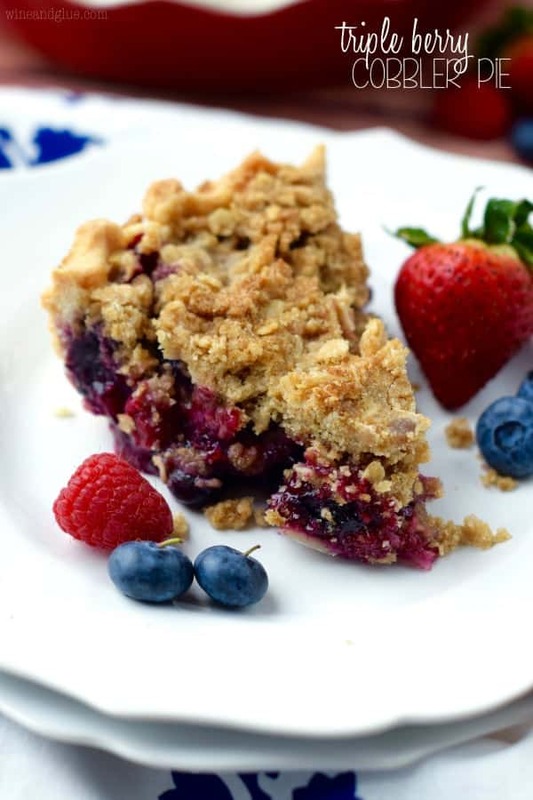 Lisa, this pie is spectacular – it’s probably my favorite summertime dessert!! Well now isn’t this just the best summer pie!! Get a spray bottle with a fairly “wet” spray and fill it with water. Spray the crud out of the flies. They can’t fly when they’re wet. Thank you for the entertaining fly adventure … Thought it was just me :). Oh and I can’t wait to try this cobbler pie!!! Yummy! Oh, Beth. It makes me so happy when people are even moderately entertained by me. Thank you! UGH, the flies. Not so bad here, but in AZ near all the dairies? OMG. This pie is gorgeous. I want the whole thing! The tapioca keeps it together, like jells it just slightly. Lisa do you know if Tapioca is the same as cornstarch? 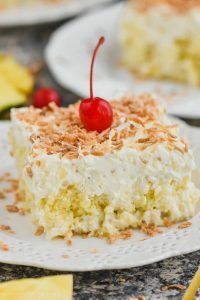 I’m not finding tapioca in my stores Thank you can’t wait to make this!!! Hi Jessica, tapioca is definitely not the same as corn starch. Make sure you grab some tapioca! I can usually find it near the canning supplies in my grocery store. Can I freeze this pie? I made it today, but I would like to eat it two weeks from now. Any suggestions? Tracie, you can try frozen, but I can’t speak to how it will work at all. Frozen fruit behaves very differently in baked goods because of the liquid. If you use frozen, let me know how it goes! 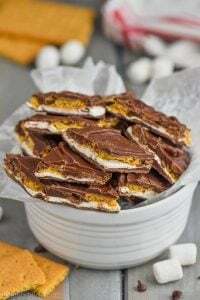 Ah I’m making this for thanksgiving today and I totally accidentally did the brown sugar in the mixture as well!!!!! ???? So it actually turned out amazing and it was everyone’s favorite pie at thanksgiving! Hahah. I guess a little extra sugar never hurt! ???? Made this pie with frozen berries. It was delicious and I will definitely make it again. 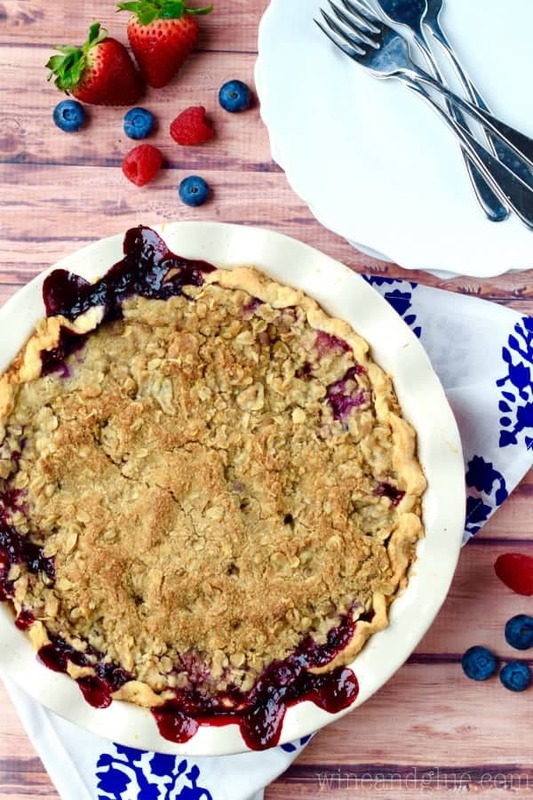 Do you cook the pie crust first or with the berries? You don’t cook the crust first.